The origins of Maison Longines date back to 1832, when Auguste Agassiz moved to Saint-Imier and started working with Raiguel June, a trader of watches. After several corporate structures, in 1847 Agassiz acquires the property of the company, which will be then inherited by his nephew Ernest Francillon who will improve the production of watches, trying to unite under in one place manufacturing and assembly. In 1866 Ernest bought two lots of land on the outskirts of Saint-Imier, an area called “Los Longines” which in the local dialect means “long and narrow fields”. This is how the first Longines factory was born, a company that will produce its first movement in 1867, and that will later make Ernst to win the medal at the Paris Universal Exhibition for the first watch with a winding crown. 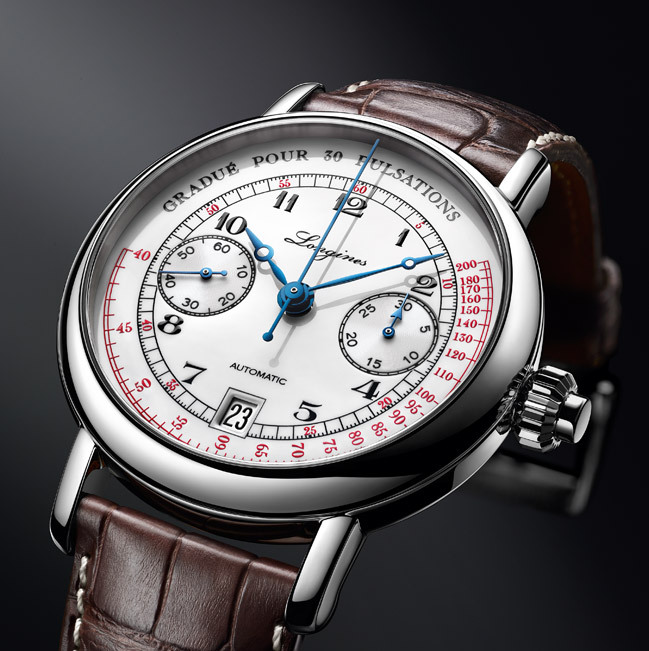 On May 27th, 1889 at 16:00 the Longines brand was patented with the No. 2684: the hourglass with wings is the oldest logo known and that has never changed over the years. At the beginning of ‘900, the company began producing mechanical wrist watches and giving squared and rectangular shapes to their cash crowns. 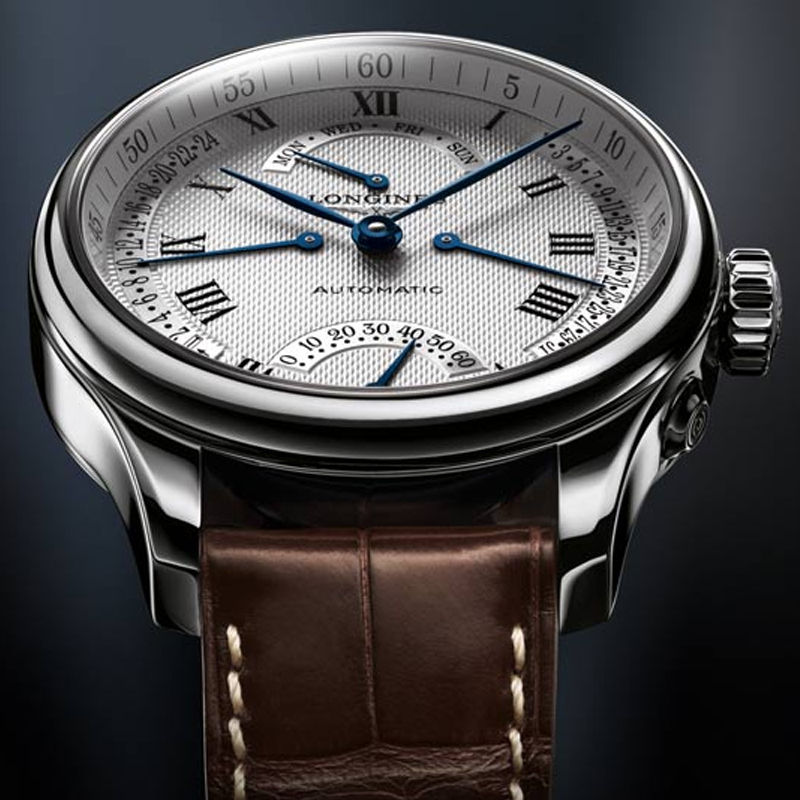 In the same period Longines approaches the world of sports by introducing the automatic timing at the Swiss Federal Gymnastics Meet in Basel for the entire duration of the event. The Company will cooperate in the following years as the timekeeper for Formula 1, Olympic Games and all the elegant equestrian sports. 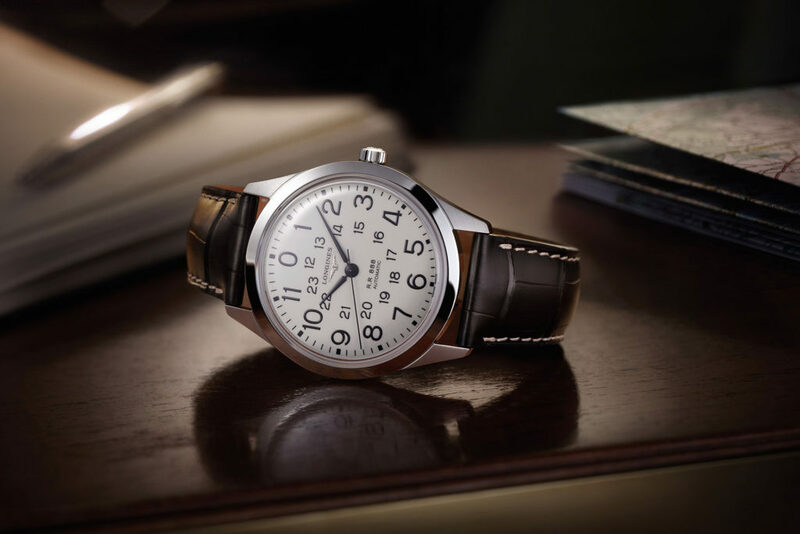 In 1932, with the help of the aviator Charles A. Lindbergh, the company is studying the first wristwatch with hour angle for the first direct transatlantic flight. This occasion led the company to be one of the most recognized by the pilots. A few years later there will be launched on the market gauges L22A and the famous 13ZN. Despite the advent of quartz movements of the ’70s the company offers models such as the Marine (1970), Kleopatra (1975), Volubilis (1978) and in 1972, thanks to French designer Serge Manzon, a special series of watches in silver. On the occasion of its 150th anniversary, the company creates the caliber L960 from which comes an ultra-thin collection called Agassiz, just as its founder. Modern history tells the acquisition of this important reality on the part of the Swatch Group, under which other important collections are born, including that to celebrate the 30milionth Longines watch. Le origini della Maison Longines risalgono al 1832, quando Auguste Agassiz si trasferisce a Saint-Imier ed inizia a lavorare con Raiguel June, un commerciante di orologeria. Dopo molti assetti societari, nel 1847 Agassiz acquisisce la proprietà dell’azienda, che verrà ereditata poi dal nipote Ernest Francillon il quale avrà come obiettivo quello di migliorare la produzione degli orologi, cercando di unire sotto lo stesso tetto manifattura e assemblaggio. Fu così che Ernest nel 1866 acquista due lotti di terreno nella periferia di Saint-Imier , una zona denominata ” Los Longines ” che nel dialetto locale significa ” campi lunghi e stretti “. Nasce così la prima manifattura Longines, azienda che produrrà il suo primo movimento nel 1867 e che vede assegnare a Ernst la medaglia all’Esposizione Universale di Parigi per il primo orologio con corona di carica. Il 27 Maggio del 1889 alle ore 16:00 viene registrato il Marchio Longines con il n° 2684 : la clessidra con le ali è il logo più vecchio che si conosca e che non ha mai subito modifiche nel corso degli anni. Agli inizi del ‘900 l’azienda inizia a produrre orologi da polso meccanici e a dare forme quadrate e rettangolari alle proprie casse. Nello stesso periodo Longines si avvicina al mondo dello sport introducendo il cronometraggio automatico al Swiss Federal Gymnastics Meet di Basilea per tutta la durata della manifestazione. La maison collaborerà negli anni successivi come cronometrista anche con la Formula 1, Olimpiadi e con tutti gli eleganti sport equestri. Nel 1932 , con l’aiuto dell’aviatore Charles A. Lindbergh , l’azienda studia il primo orologio con angolo orario in vista del primo volo transatlantico senza scalo. Occasione questa che portò l’azienda ad essere una delle più riconosciute dai piloti. Qualche anno più tardi nasceranno i calibri L22A e il famoso 13ZN. Nonostante l’avvento dei movimenti al quarzo degli anni ’70 l’azienda propone modelli come il Marine (1970), Kleopatra (1975), Volubilis (1978) e nel 1972 , grazie al designer francese Serge Manzon, una serie speciale di orologi in argento. In occasione del 150° anniversario dell’azienda crea il calibro L960 dal quale nasce una collezione ultra-sottile chiamata Agassiz, proprio come il fondatore della maison. La storia moderna racconta l’acquisizione di questa importante realtà da parte del Gruppo Swatch, sotto la quale nasceranno altra importanti collezioni, tra cui quella per celebrare il 30milionesimo orologio Longines.